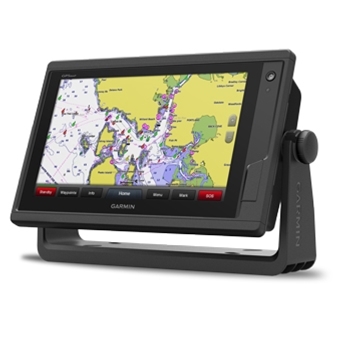 The GPSMAP 942 from Garmin offers a 9” Touchscreen display, NMEA2000, NMEA0183 and Ethernet Network Capabilities. Preloaded Coastal and Lake Charting and Wireless Connectivity for Garmin Helm and BlueChart Mobile. Experience full networking capabilities with the Garmin GPSMAP 942 Multifunction Chartplotter with 9” touchscreen. The high resolution 1024 x 600 pixel color WSVGA multi touch display provides you with the perfect clarity display for your boating adventures be it on lakes or open seas. Water rated to IPX 7, this beauty is durable and user friendly, and comes preloaded with detailed BlueChart G2 charts for coastal and offshore as well as freshwater LakeVu HD charts for over 17,000 U.S. Lakes, rivers and reservoirs. Built-in WiFi connectivity allows for you to utilize the Bluechart mobile app and Garmin helm app to control and view information from your GPSMAP 942 right on your compatible smartphone or tablet. Also built in to your 942 plotter is the ANT connectivity which will wirelessly connect to the Quatix watch, GNX wind instrument, Garmin Nautix display, and more. All of these capabilities come in very handy, especially when it comes to enhancing situational awareness while on the water. Not only is this GPSMAP 942 Garmin network compatible, but it is also fully NMEA 0183 and NMEA 2000 ready. Share numerical data over your NMEA network with an autopilot, engine data, VHF radios and more directly to your 942 GPSMAP display. The GPSMAP 942 networks with items such as radar, cameras (including the Garmin GC200 Marine Camera), and Panoptix sonar making this unit a powerhouse of information right at your fingertips. For the ultimate, navigational powerhouse, the Garmin GPSMAP 942 plotter is the right choice! The Garmin 942 supports the Garmin inReach Mini Satellite Communicator which allows users to select from a list of preset responses to communicate with friends and family directly from your chartplotter. Enjoy the benefits of advanced real-time sonar images with the aid of the Garmin Panoptix LiveScope Transducer System. Panoptix sonar is now better than ever with a zoom features that allow users to zoom without losing view of the original image. This is achieved through a secondary zoom window and allows for convenient viewing of detailed Panoptix images. Garmin is continually improving the functionality of their existing product line through software updates. These updates are quick, simple, free of charge and are necessary for optimal performance. Click here to view a list of the features included in Garmins newest update. The Garmin GXM53 Sirius XM Marine Receiver provides continuous weather and entertainment to your compatible Garmin Chartplotter. Added Confidence and Peace of Mind comes with the GXM 53 as you can view current weather conditions and forecasts right on your display in real time while on the open water. The Garmin 18 xHD provides high resolution targeting thanks to its Dynamic Auto Gain and Dynamic Sea Filter which continually adjust to your surroundings. See storms and precipitation as far out as 48nm and zoom in closer to see boats, buoys and land. Garmin’s GMR 18 HD+ Dome Radar with Dynamic Auto gain adjusts automatically to your surroundings for optimal performance. Other features include 36NM range, Sea Filter and True Color. Garmin’s GMR Fantom 18” Dome Radar offers Solid state pulse compression, 40W of Transmit Power, Motionscope Technology using the Doppler effect and 20ft to 48NM Range with a 5.2° Beam width. The Garmin GSD 25 premium network sounder module was built with the serious offshore fisherman in mind. Exceptional fish finding capabilities when paired with a compatible GPSMAP 7400/7600 or GPSMAP 8000 Series MFD. Dual Channel 1kW CHIRP, including DownVu and SideVu. Reaches depths of 5,000 feet. Garmin’s GMR Fantom 24” Dome Radar offers Solid state pulse compression, 40W of Transmit Power, Motionscope Technology using the Doppler effect and 20ft to 48NM Range with a 3.7° Beam width. 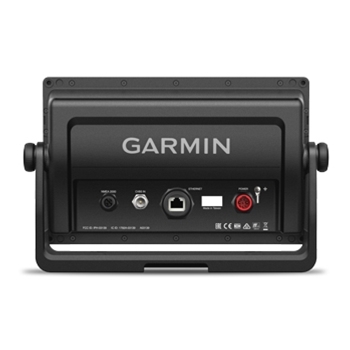 Flush Mount your Garmin GPSMAP 922, 922xs, 942 or 942xs with the 010-12546-01 Flush Mount Kit. Includes Hardware, Template and Installation Instructions. Monitor in and around your vessel with real time HD Video. Stream up to 4 GC 200 cameras and see what’s going on when you’re not on your boat. Includes both Standard and Reverse Image settings with almost unlimited mounting options. The Garmin GSD 26 utilizes Garmin’s Spread Spectrum technology to sweep a range of frequencies with each sonar pulse to create unprecedented resolution and target imaging in waters down to 10,000’. Adjustable frequency and adjustable transmit power make this a top choice for sport fisherman around the world. Garmin GCV 10 Sounder for SideVu, DownVu and Chirp is an all in one black box module that adds ultra-clear sonar images of bottom, structure and fish beside and below your boat. The Garmin GMR 1224xHD2 is the most powerful, compact 4’ open array radar available. With 12kw ouput power and a narrow 1.8 degree beamwidth the 1224xHD2 reaches up to 72 nm. Whether cruising or fishing offshore this radar is sure to increase your situational awareness. Featuring Bird Mode, Echo Trails, Dual Range and More. The Garmin GMR 1226xHD2 is Garmin’s most powerful open array radar available. With 12kw ouput power, a 6’ open array antenna and a narrow 1.1 degree beamwidth the 1226xHD2 reaches up to 72 nm and provides the clearest, best resolution images right on your chartplotter. Whether cruising or fishing offshore this radar is sure to increase your situational awareness. The Garmin GMR 24xHD High-Definition Radar Dome is a perfect option for the weekend cruiser or the tournament fisherman. The sleek design paired with 4kw digital high-definition performance will help you navigate in the dark or find a group of boats on the fish. Garmins 9 Axis Heading Sensor provides accuracy +/- 2°. 10Hz Output Rate ensures your chart orientation and boat heading is accurate with reality. Premium Heading Accuracy at low speeds and even when bow is pitching, rolling or heeling over. 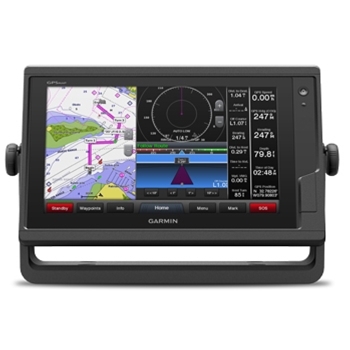 The Garmin GPSMAP 742 Chartplotter is a 7” Touchscreen display preloaded with Garmin Bluechart g2 and Lake Vu Mapping. Internal 10Hz GPS Receiver, Wi-Fi, NMEA2000 and NMEA0183.